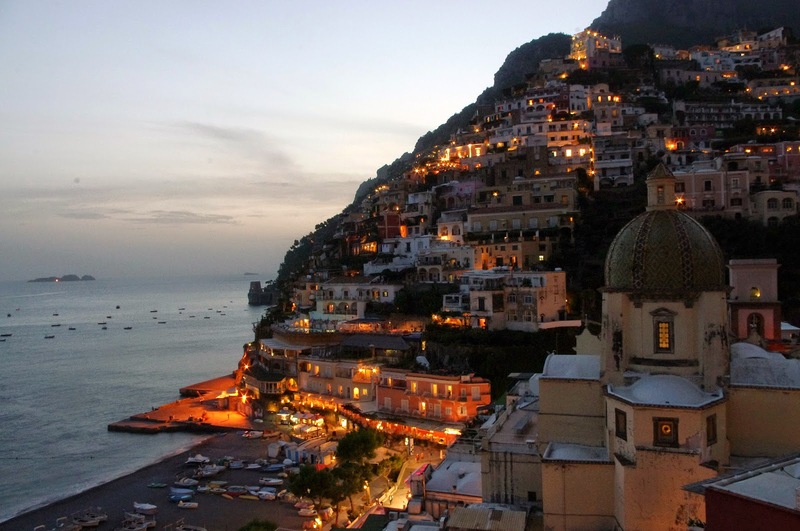 Famous, picturesque Positano is home to the beautiful family-run Buca di Baco Hotel. 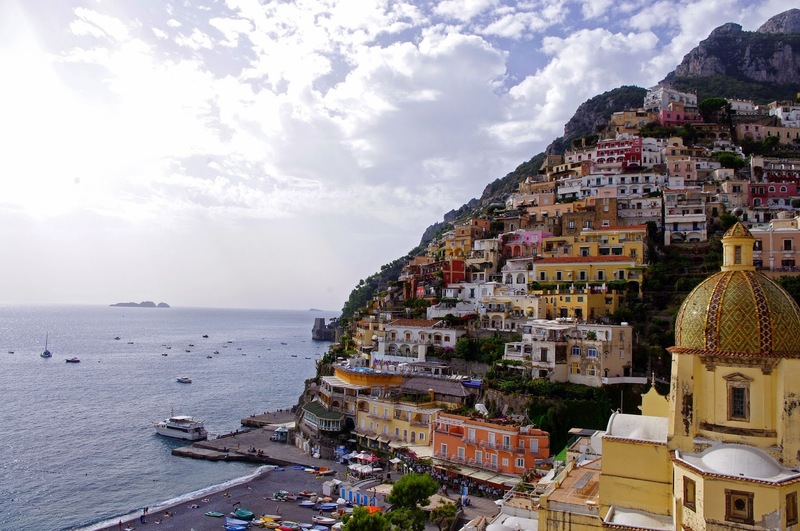 Directly beach front and situated on Spiagga Grande, the hotel’s enviable location offers you unrivalled views of stunning Positano from its windows, terraces and balconies. 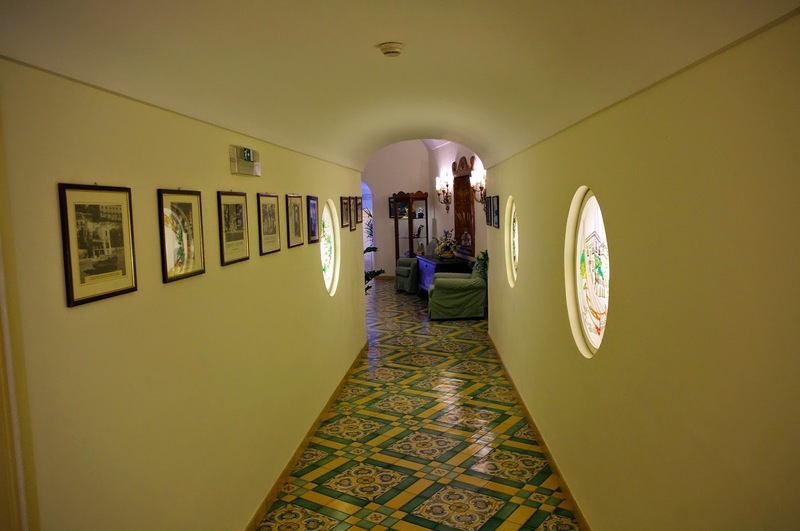 Buca di Bacco is a architecturally and historically beautiful hotel, with a warm and welcoming decor represented in its colours, furnishings and artworks. 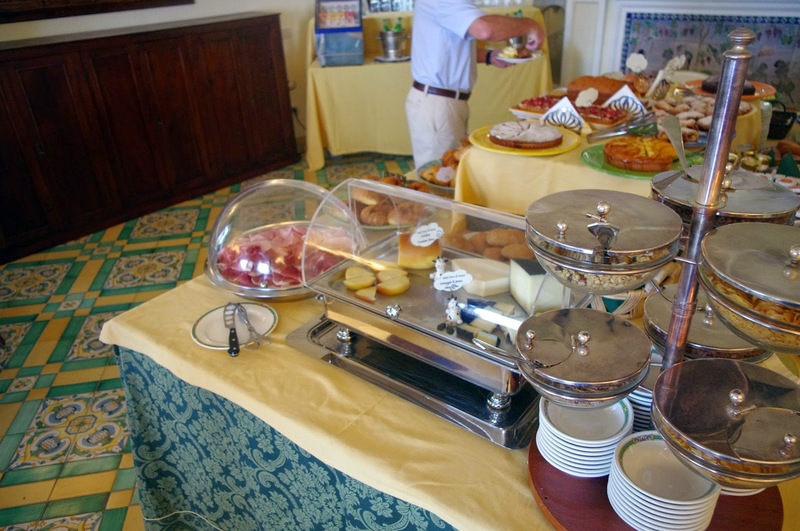 The hotel also has an incredible restaurant serving delicious Mediterranean foods using healthy, local produce. 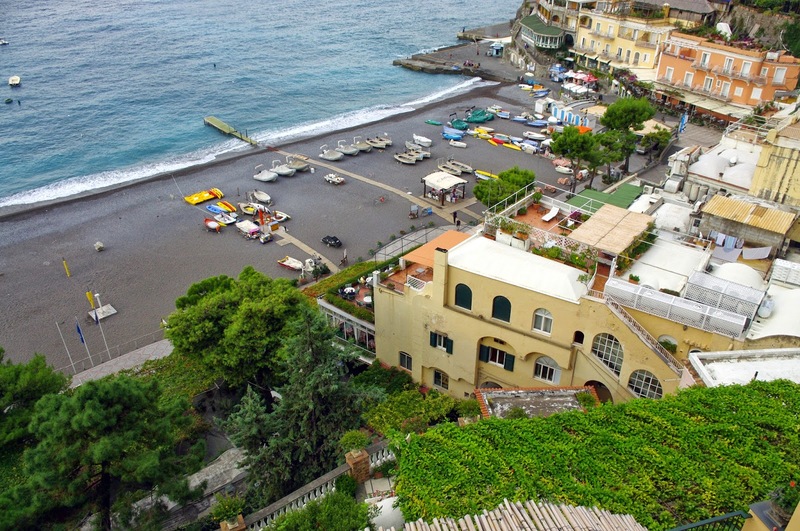 One of the most incredible features of Buca di Bacco is its wonderful location. 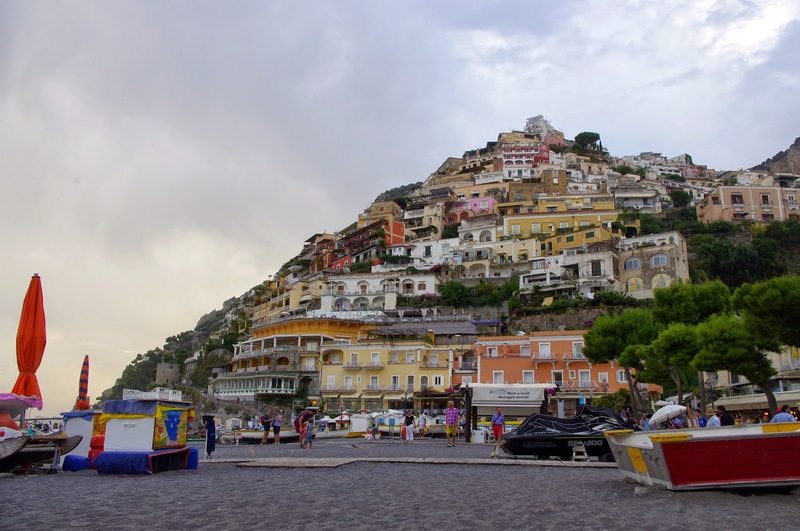 Its enviable location provides its guests with views that stretch over colourful Positano, Spiagga Grande, the sea and the nearby Galli Islands, famous for their part in the legendary novel the Odyssey. 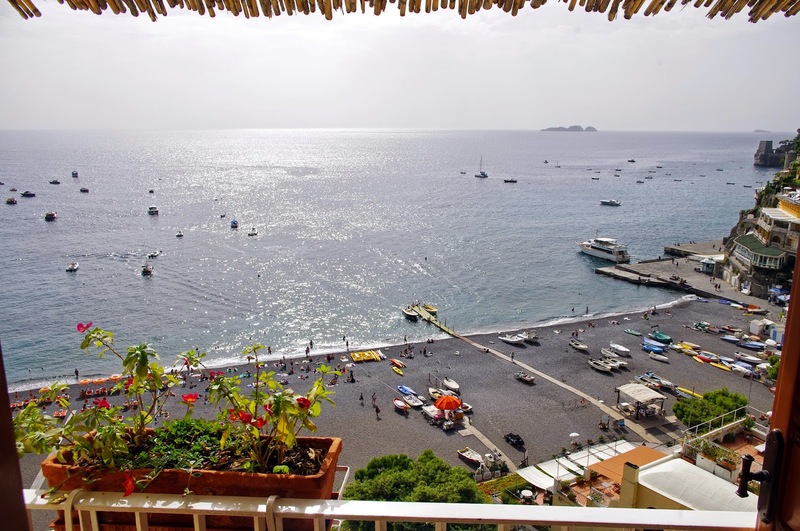 Ideally located in the centre of the beach the hotel provides the luxury of being removed from cars and traffic noise, yet only a short accessible walk from roads, buses and cars. 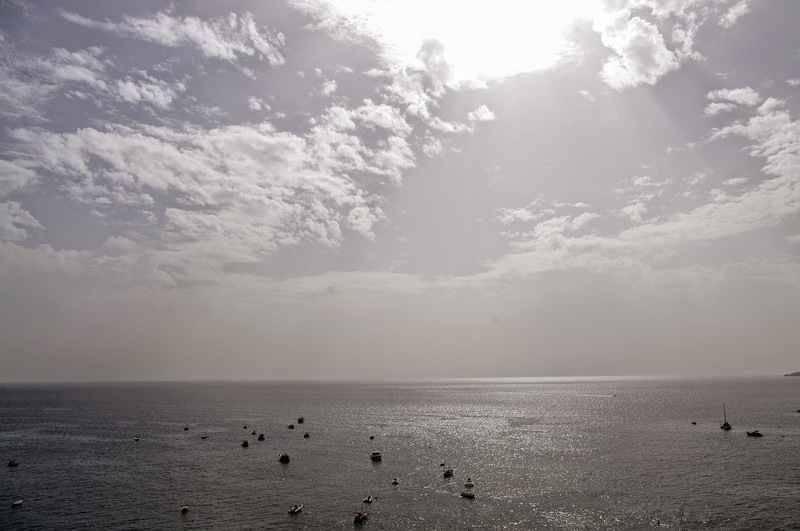 It is peaceful, relaxing and truly a dreamy seaside holiday. The hotel also supplies complimentary beach towels for its guests which is perfect as I can guarantee you that at some point you will head to the beach, as everyone does! 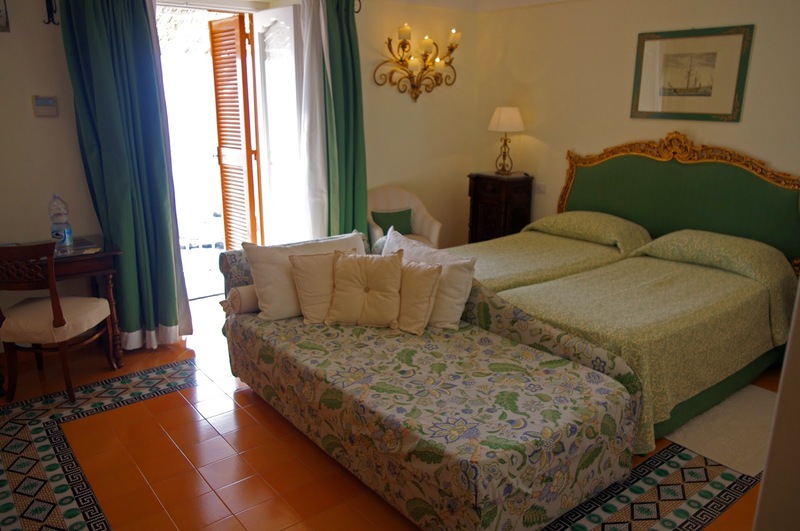 Buca di Bacco has 47 individually designed bedrooms ranging from Standard rooms to Executive and Deluxe rooms complete with terraces. 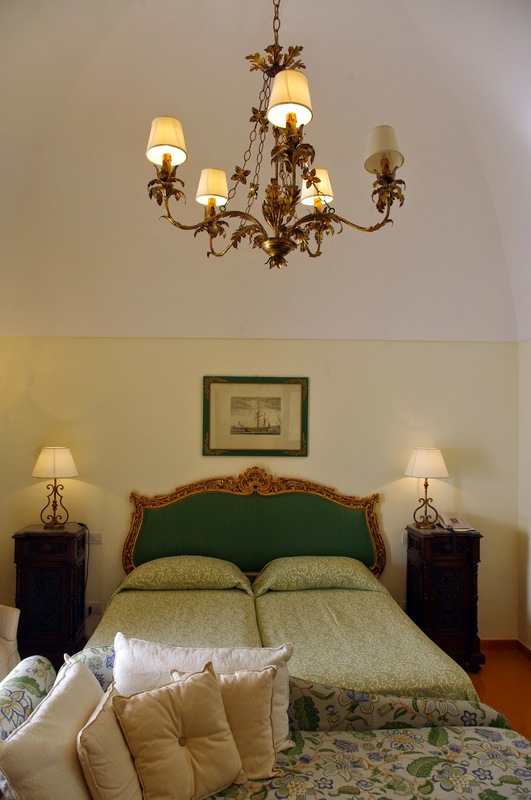 Almost all of their rooms come with the luxury of a sea views, with views stretching over the beautiful Mediterranean. 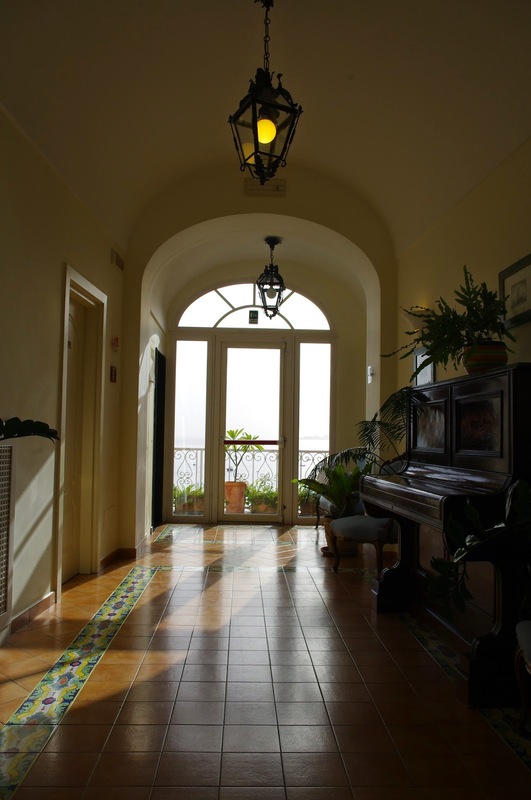 We stayed in a standard room with sea view; a spacious, classically decorated room with all the amenities and services we needed for our perfect stay. Our room included Sky TV, a telephone, safe, luxury toiletries, air-conditioning, Wi-Fi, Mini-bar, comfortable bed, desk and chairs. 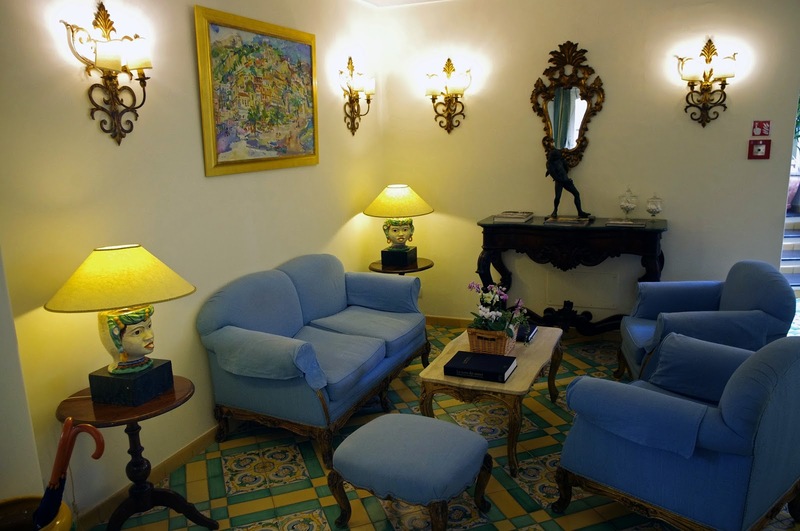 The room was beautifully decorated and furnished with classic decor including locally painted artworks, marble finished bathroom, chandelier, beautiful light fittings and classic Vietri hand-painted floor tiles. 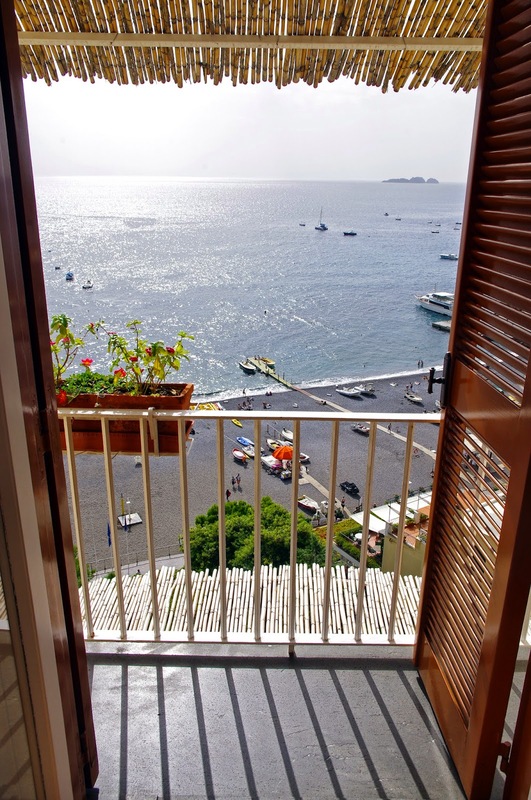 Our favourite part of the room was the double doors that opened onto a small balcony with breathtaking views that I will never forget. 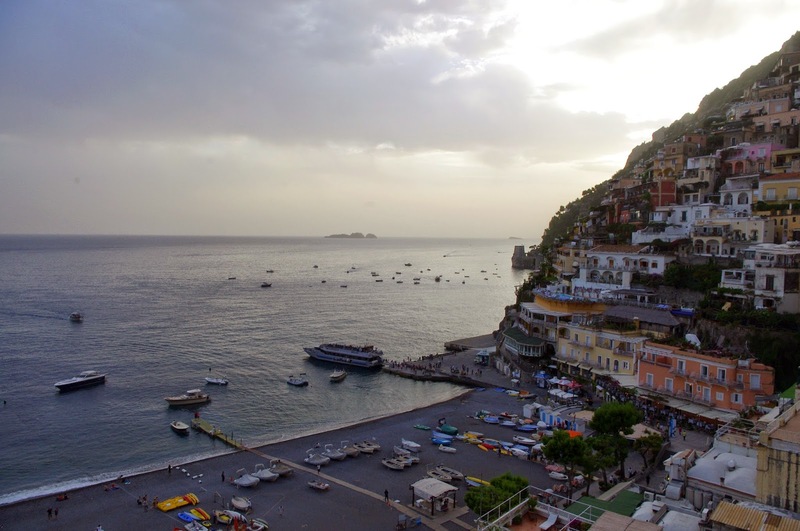 Standing on our balcony, sipping a glass of wine and watching the sun go down over the sea and the buildings of Positano begin to light up, is one of our favourite memories of the holiday. 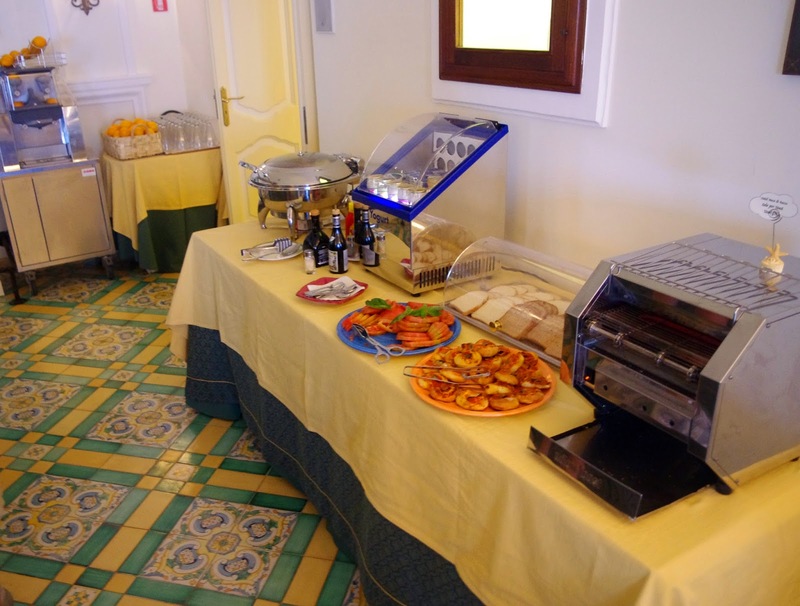 A full Buffet Breakfast is included at your stay at Buca di Bacco and it is not something to be missed! 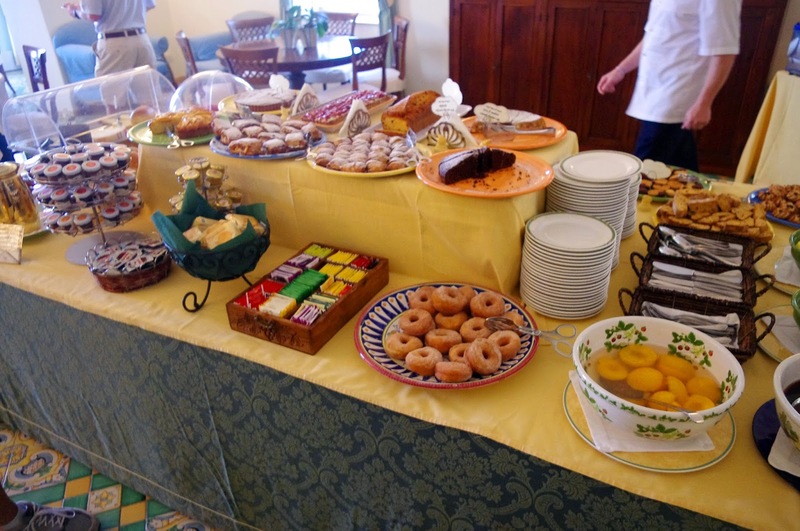 The breakfast had a wide range of delicious choices ranging from cheeses, meats, eggs, bacon, breads, cereals, fresh fruit, pastries, cakes, tea, coffee and many more! One of my favourite aspects of breakfast was the fresh orange juice machine! 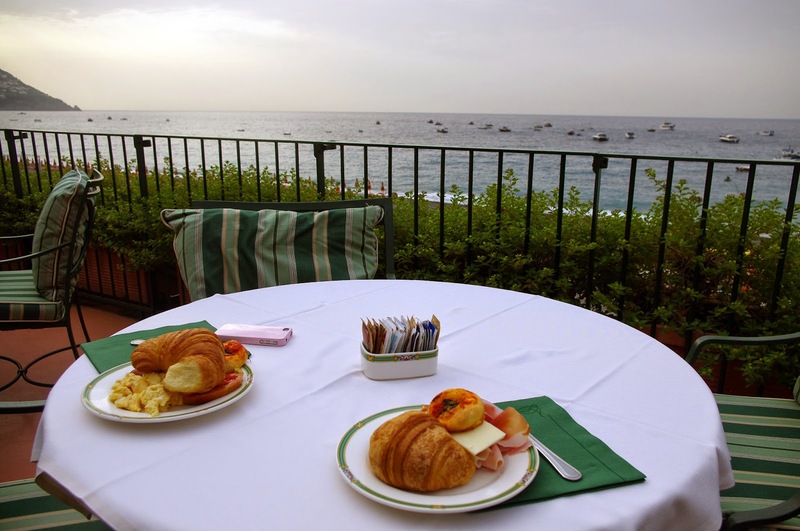 Breakfast is served on the hotel’s terrace, with views that will be hard to beat. 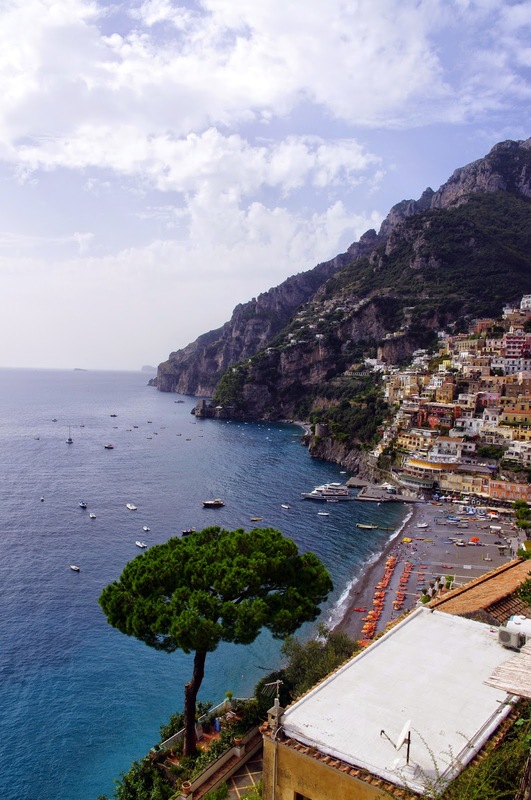 One of our highlights of our stay at Buca di Bacco was taking our delicious breakfast in the sunshine soaking in the marvelous views. 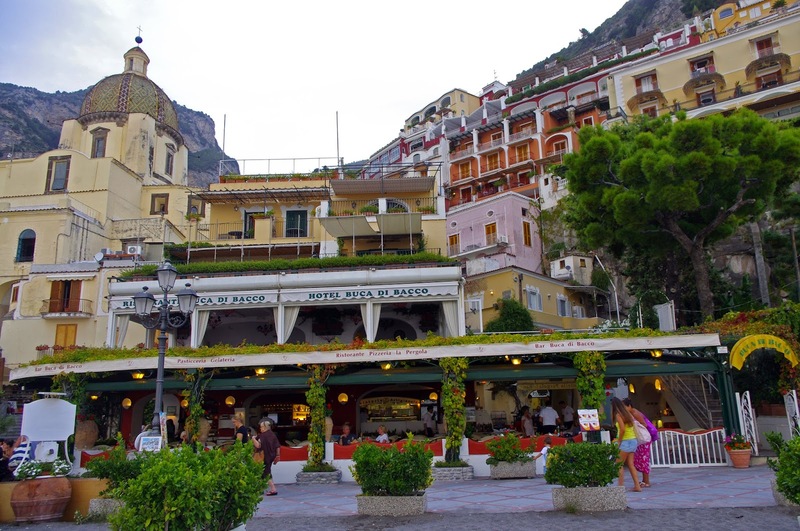 Buca di Bacco has a wonderful history, dating back to its pre-hotel origins of being the go-to restaurant for tourists in Positano, renown for its service and incredible food. The staff continue the traditions in the restaurant of only using the freshest and finest local produce to create regional specialities. 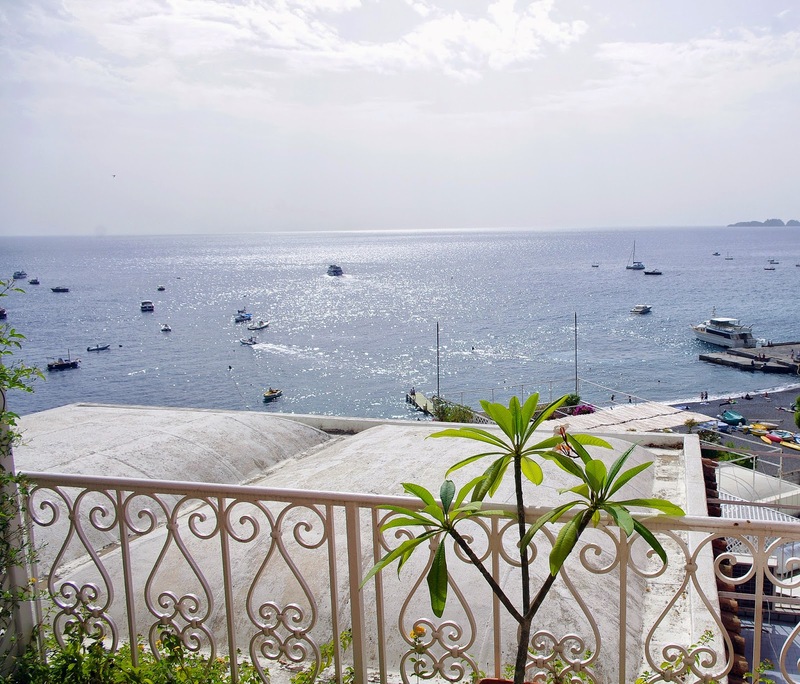 The restaurant is located on one of the hotel’s many terraces and overlooks beautiful Positano and the sea. The hotel also offers the opportunity for guests to take part in a fun, hands-on cooking class in the restaurant’ kitchen teaching you some secrets of classic Neapolitan cooking with the chance to enjoy your hard work by tasting your dishes at the end! 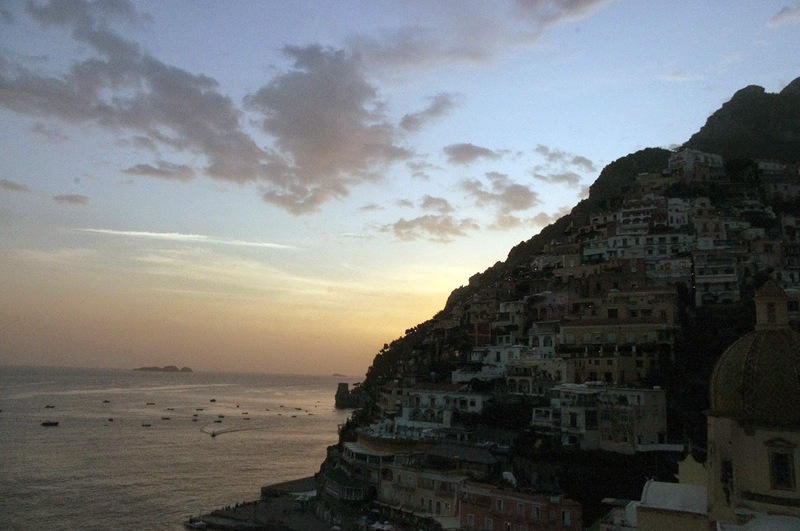 I can guarantee this statement is true, they simply go out of their way to ensure your holiday in Positano is fantastic. 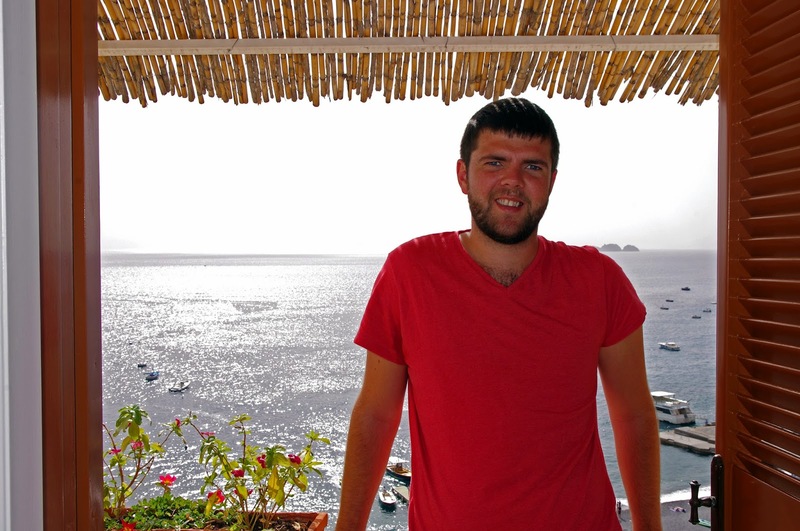 The Aussie Flashpacker was welcomed to Buca di Bacco as a guest.